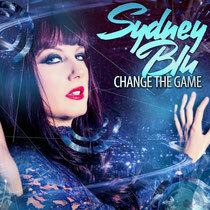 Native Canadian, LA-based DJ/producer Sydney Blu has just released her latest mix compilation ‘Change The Game’, featuring 17 tracks and an exclusive debut on Black Hole Recordings. The compilation takes you on a voyage from tech house all the way to the realms of progressive, with tracks from Thomas Shumacher, Mark Knight, Funkagenda, Alex Kenji and more. It also contains an exclusive debut of her new track ‘NYCMIA’, a combination of piano synths and a bassline, as well as other originals and collaborations. "I'm very proud of this compilation because I went back to my roots of house and techno while still keeping a balance of my progressive big room side," says Sydney. "I started deep and techy and took it through the different genres of house, electro and progressive, while making sure it still flowed smoothly through transitions. I hope everyone enjoys this musical journey!" Sydney gained notoriety for her chart-topping track ‘Give It Up For Me’ on Mau5trap Recordings, which is apparently still one of Beatport’s highest selling songs and made her the first ever female to have an overall Top 10 hit. Since then, Sydney has seen success with numerous releases, world touring, running her own record label Blu Music, her radio show on iHeartRadio, and most recently with her new documentary ‘Being Sydney Blu’, which airs monthly on youtube.com/blackholerecordings.